Soon Nokia will be no more. In the late 1990s and early 2000s, the Finnish tech company made the must-have mobile phone. It became the world’s No. 1 mobile phone maker and a global technology tastemaker. Now comes news that Microsoft is phasing out the brand it recently acquired, in order to focus on the Lumia phone line. With the name switch, the 147-year-old Finnish company’s name will disappear from the technology it helped create. It’s not the only well-known company to stage a vanishing act. Recently it was announced that the once-ubiquitous Hess gas stations that dotted America’s landscape will also disappear as the company focuses on oil instead of retail. While Hess’s and Nokia’s impending disappearances are playing out in the headlines, take a look back at eight other brands that were once household names, but have since disappeared. Pan American World Airways, or Pan Am as it was more commonly known, was founded in 1927 in Key West, Fla., to carry mail between the U.S. and Cuba. Operations soon expanded to Central and South America as the unofficial airline of the United States, being the so-called authorized “Chosen Instrument” of U.S. travelers to foreign countries. After World War II, an interest in air travel and a boom in tourism encouraged the company to expand its operations from its Worldport hub at New York’s JFK Airport around the globe. Pan Am soon became the go-to airline for the glamorous jet set of the 1960s and ‘70s, all of which was captured by the 2011 television series Pan Am. However, the company was hit by two events over which it had little control, but ultimately proved insurmountable. The first was the tragic 1988 terrorist bombing of Pan Am Flight 103 over Lockerbie, Scotland. The second was a jump in fuel prices caused by the Gulf War, which shook the company’s finances. Pan Am filed for bankruptcy in January 1991 and closed up shop in December of that year. In 2000, Reed Hastings, the founder of a startup business called Netflix (NFLX), approached Blockbuster CEO John Antioco with a partnership proposal. Antioco turned him down flat, because his company was at the top of the video rental market with solid profits, thousands of retail locations, and millions of customers eager to rent their movies and videogames. It’s a meeting that has gone down in the annals of business lore. Blockbuster’s business faltered, and it declared bankruptcy in 2010 while Netflix thrived. As Internet-based services such as Netflix, Hulu, iTunes and cable on-demand services continued to grow their businesses, Dish Network Corp., which acquired Blockbuster in 2011, announced that it was closing the last Blockbuster retail stores in the U.S. by early-January 2014. 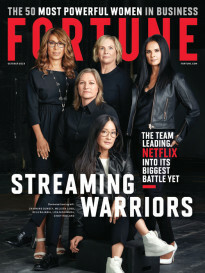 While Blockbuster stores no longer dot strip malls and roadsides around the country, the brand lives on in an on-demand format, attempting to rival their one-time potential partner, Netflix. The Standard Oil Company was founded in 1889, and acquired the American Oil Company in 1910. That new company was called Amoco and it went on to revolutionize the gas station in America by introducing concepts like the metered gas pump, the drive-through gas station and the tanker trucks used to refill them. The company became a mainstay of American life on the road, with its ubiquitous signs dotting the side of the highway across the country. It eventually became the largest natural gas producer in North America and a leader in solar power. In 1998, Amoco announced that is was merging with British Petroleum (BP) in one of the largest takeovers of a U.S. company by a foreign corporation. Originally, Amoco was to stay open in the U.S., but BP changed their mind and announced that all Amoco stations would be rebranded as BP. With that decision, Amoco the brand disappeared. In the late 1990s, Enron earned a reputation as an innovative energy and commodities company that was disrupting both industries long before “disruption” was even a thing. The Houston-based company carved out whole new categories for commodities, including Internet bandwidth and weather futures, making money where none had existed before. Enron quickly became the model for how old guard utilities could operate in the new frontier of economy 2.0 and its stock price soared. Except, of course, it all came crashing down under a hailstorm of scandal. Enron had been hiding losses and huge debts in a vast array of shell corporations and phony partnerships. Enron declared bankruptcy in 2001, causing the loss of thousands of jobs and billions of dollars as the stock price tanked. The ensuing investigation revealed a massive fraud and Enron’s auditing firm, Arthur Andersen, ended up closing up shop as CPAs in 2002 when they were found guilty of criminal charges for their involvement in the Enron cover up. Founded in 1897 as the Olds Motor Vehicle Co. by Ransom Eli Olds, the Oldsmobile became a true American icon. When Olds left to start the R.E.O motor company (named after his initials), Olds Motor Vehicle Co. became a part of General Motors in 1908, where it stayed for a hundred years. During its century-long history, 35 million units were sold and its Cutlass and Cutlass Supreme models became some of the most recognizable cars coming out of Detroit and Lansing, Mich. Oldsmobile sold more than 1 million vehicles per year during the 1980s, but its sales started to tumble in the 1990s. The company marked its centennial in 1997 with a shortfall in sales, and it became clear that the brand couldn’t compete with smaller and more fuel-efficient cars from competitors like Hyundai, Honda and Toyota and from other GM lines like Pontiac. In 2000, General Motors announced that the Oldsmobile brand would be phased out. The last Oldsmobile rolled off the assembly line in April 2004, and the company closed its doors soon after. Woolworth’s dominated the discount market for much of its 117-year history, pioneering retail marketing practices still in effect today. Business started to wane in the 1980s and in 1986, the five-and-dime store branch of the Woolworth conglomerate reported an operating loss of $37 million. In 1987, The Woolworth Corporation announced it was closing the last 400 of its five-and-dime shops. While Michigan may be best known as the home of American auto manufacturing, the state was also home to one of the country’s biggest book sellers: Borders. Founded in Ann Arbor in 1971, by brothers Tom and Louis Borders, the bookstore grew to 21 locations. Then in 1992, the Borders brothers sold the chain to Kmart for about $125 million. Three years later, Kmart spun off the brand along with another of their book brands, Waldenbooks, and the company went public, expanding throughout the 1990s. 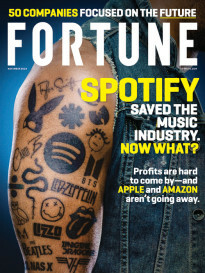 Ultimately, though, the store was unable to compete with the rise of the Internet, technological advances in e-readers and digital music, and online retailers like Amazon (AMZN). After 40 years in business, the company’s original Ann Arbor store closed up shop in 2011, and the company declared bankruptcy. Rival bookseller Barnes & Noble (BKS)acquired Borders’s trademarks and customer list. Web searches for Borders now are directed to Barnes & Noble’s website. Back in 1895, Charles William (C.W.) Post made a batch of Postum cereal beverage in Battle Creek, Michigan. He incorporated as the Postum Cereal Company in 1896 and started a long history in the food business. He debuted Grape-Nuts breakfast cereal in 1897. As the company’s offerings moved way past cereal, it changed its name to General Foods in 1929. The company grew for decades, acquiring products like Bird’s Eye frozen foods, Sanka decaffeinated coffee, Kool-Aid, Jell-O, Tang, the Burger Chef restaurant chain and Oscar Mayer. In 1985, General Foods itself was acquired by Philip Morris (which later became Altria Group). When Philip Morris acquired Kraft in 1988, the two food companies were merged and spun off in 2007 as Kraft General Foods, making it the largest food company in the U.S.